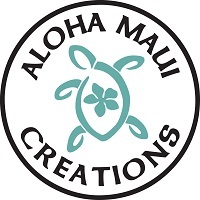 Hibiscus Flower Solid Cell Phone Decal Size 1.60" x 1.85" Handcrafted in Hawaii made from durable outdoor adhesive vinyl. Sticks great on glass, metal and plastics with a smooth surface. Use you imagination when embellishing your favorite items. You get one cell decal in a clear sealed bag with application insert. Mix and match cell decals to create a unique style. You will love all the colors and fast shipping. Tag you photos using #cecichenault on Instagram and follow for my free monthly decal giveaways!